Valentino Rossi may have ended the day ninth fastest but he felt that he had the pace to match Jorge Lorenzo if he had used a fresh rear tyre at the end of the session. However, having been forced to use his fresh tyre in the middle of the 45-minute afternoon session he lost out a lot when the fastest times of the day were being set. 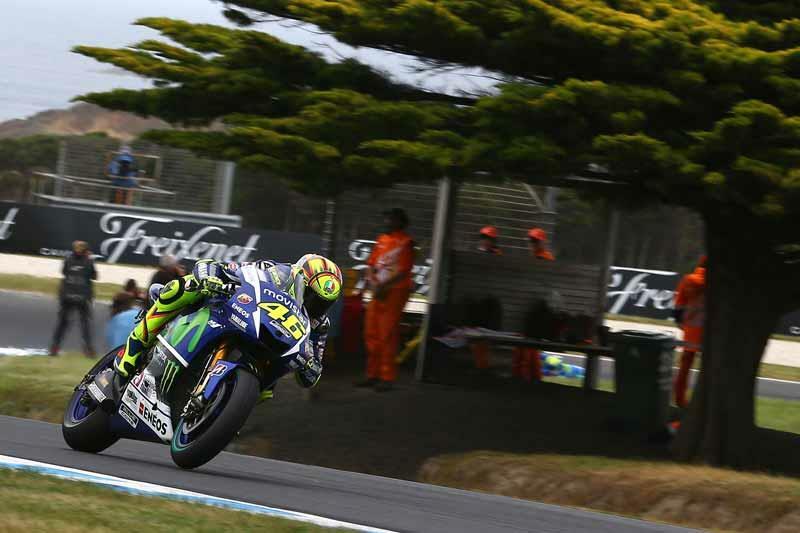 "The day was not so bad for our performance," said Rossi. "Unfortunately this morning we had some bad weather so we tried to work a little bit to understand, but it was a difficult practice where you cannot push at 100 percent. In the afternoon we were lucky, good weather, and we can work on the bike, try to understand the way because here the rear tyre is very stressed. So it’s difficult because it spins, slides and moves a lot. So it is important to have a good setting and good balance. "We have two ways to follow. Two different bikes. Sincerely I was quite happy, I mean my pace was not so bad. I was constant also with the used tyre. I’m not happy about my position because I’m not strong enough in the hot lap, also because I have to put the [new] tyre very early because I had a small problem with the front and a lot of people put the new tyre at the end and were able to improve the lap time." Rossi had two distinct bike settings through the day and afterwards he elaborated that the keys for him were to find which option provided him with the best chance of a fast time. A looser option that would have more spin and that demands him to adjust his riding style or an option that has less spin and allows him to have more confidence mid-corner. "I have two different setting. One is more for try to spin less and the other one is to try to make the corner faster. We have to understand to understand because anyway te tyre spins a lot, so we have to understand the way t go faster so if we have to concentrate to try to spin less, or try to ride in a better way and don’t care a lot about the spin."